Rocks and stones are the ancient bones of our natural landscape. For the early people, power adheres to the rocky places. Their great raised stones penetrate the earth, conducting the receptive energies upward and outward. Long-enduring features of the land, rocks are natural gathering places often known by name, and endowed with spiritual and ritual purpose. Folklore and mythology surround the weathered outcroppings, the fossil- and quartz-embedded boulders that are tossed by giants and brought by magicians of old to their resting places. The Great Stone Builders belonged to a civilization that spanned twenty-five-hundred years, leaving little record of its existence beyond the remains of its ceremonial centers, gathering places and burial sites, and an ethereal presence in the mythology and religion of the tribal Celts. The great stones and barrows were raised in the shadowy megalithic or Great Stone culture of the second and third millennia BC. There are many wonderful megalithic monuments in western Europe. 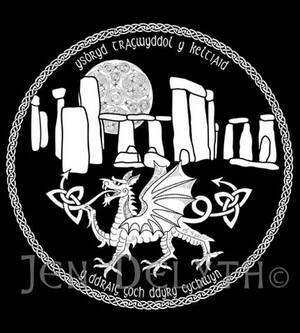 Most of these are found in the more isolated Celtic lands of Wales, Ireland, Scotland and Brittany where they have survived through thousands of years supported by the culture and imagination of the people. Cromlechs, circles of menhirs that held gatherings of people to celebrate rituals and celebrations, were ancient even to the Celts. While many stone circles and giant pillars have long since disappeared from our fields and woodlands, it is a wonder that plenty have somehow survived. Stories of Spirits and Faerie Folk associated with the stones may have helped to deter their destruction by local people over the centuries, although many were removed due to superstition, or sometimes used as handy building materials. 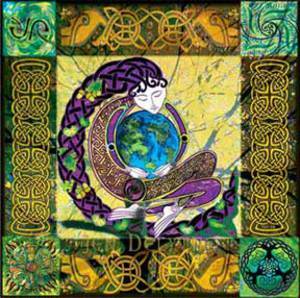 Earth Mysteries for the early people and the later Celts include the idea that rebirth is a natural principle of life, part of the rhythm of growth and decay. For them, death is a natural stage in the cycle of existence. 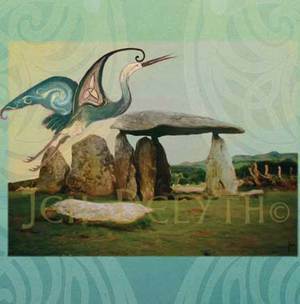 At important burial sites in Ireland such as Tara in Meath and Emain Macha in the north, the Celts held festive tribal gatherings around the graves of the divine Ancestors. Wells, springs or groves of trees near the mounds were seen as sacred points of connection with the mysteries of the Otherworld. Earth is the ancient Mother, and the hills and mountains, the fertile soil and deep caves are her body. She is the rivers, springs and lakes – the waters emerging from the underground to fertilize the lands. Born from the belly of the mother, when we die we return to her. Animals, plants and the very nature of existence are subject to this profound circle of being. Mountains and hills connect the earth to the heavens; they are the body of the ancient Earth Goddess. The Paps of Anu in County Kerry, Ireland are twin hills outlining the Mother’s breasts, a prominent landscape feature that transforms the earth and rock into the body of the ancient goddess Anu. Mounds are earthworks and burial graves, including immense round and long barrows, and large, mysterious artificial hills like Silbury Hill, located just south of the village of Avebury in Wiltshire. Ancient people believed that we are reborn into an afterlife. They built the great mounds and barrows with stone and wood, and there they laid out their dead with ceremonial ritual objects and animal totems to accompany them on their journey to the Otherworld.